I am sending you heart-felt greetings! The summer days are almost over now and it’s great to savour the remaining time of warmth and intense rays of sunshine as long as possible. I hereby invite you to a very special and wonderful “second summer”. 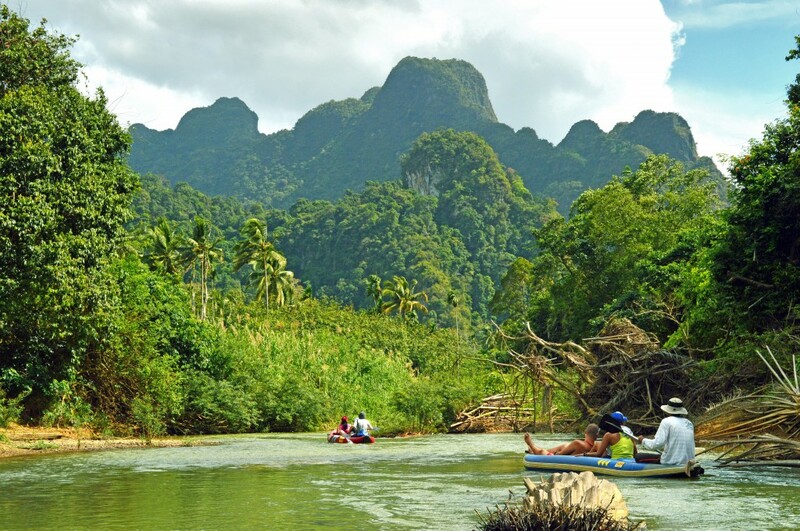 Be part of a paradisiacal adventure tour into the wonderful Thai rain forest in the Khao Sok Nationalpark. Especially during the time of grey weather and coldness in our region it is most beneficial to spend a wonderful time in the pleasant summer-like climate in beautiful nature, in one of the oldest nature reserves of the world. Together with professional local guides we will explore the untouched nature of the rainforest and enjoy the unbelievable abundant diversity directly on location. Huge trees await us as well as a multitude of unknown wild fruits, waterfalls with natural swimming pools in which we can bathe, strange mushrooms and the largest flower on earth with a diameter of one meter, and much more amazing things. Amongst other things we will also stay overnight in the jungle and for three days we will be guests on a remote island with a beautiful sky above us, surrounded by turquoise sea water. Healing and intensely energy fueling rawfood will accompany us the entire time. Together we will prepare yummy and healthy meals to detox our body and to stimulate our self healing abilities. On the one hand we will bring high-quality raw-vegan products with us on the journey but we will of course also enjoy the magical local exotic fruits which are growing there effortlessly. With much sensitivity we will also explore the original vegan Instincto nutrition, which means we will choose the current most beneficial food for us through our sense of smell. That way our body decides and gets exactly what is needed and is able to initiate healing in us. This unique and individual travel offer is really affordable and children up tol a certain age can participate free or with a discount. If you have questions regarding this journey, the program or raw food, I am happy to receive your email or phone call to answer your questions. This entry was posted in Raw Food and tagged bharati, exotic, khao sok, Nationalpark, rainforest, raw food, thailand, Trip, workshop on September 23, 2015 by jennyhumke. 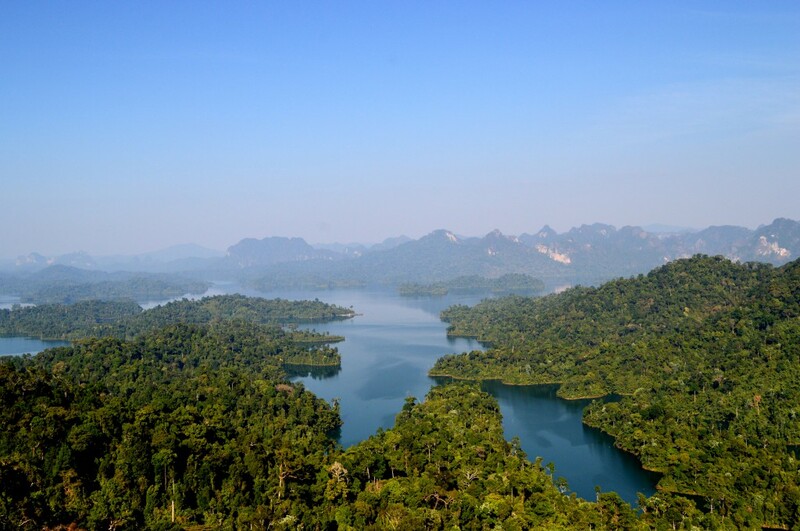 On this fascinating and impressive raw food experience journey we will travel in a small group to Khao Sok National Park in the middle of the Thai rainforest. Daily discovery trips in the rainforest, fascinating tropical flora and fauna, mysterious caves, stunning waterfalls, jungle camping with campfire, night safari and much more awaits you on this extraordinary journey! 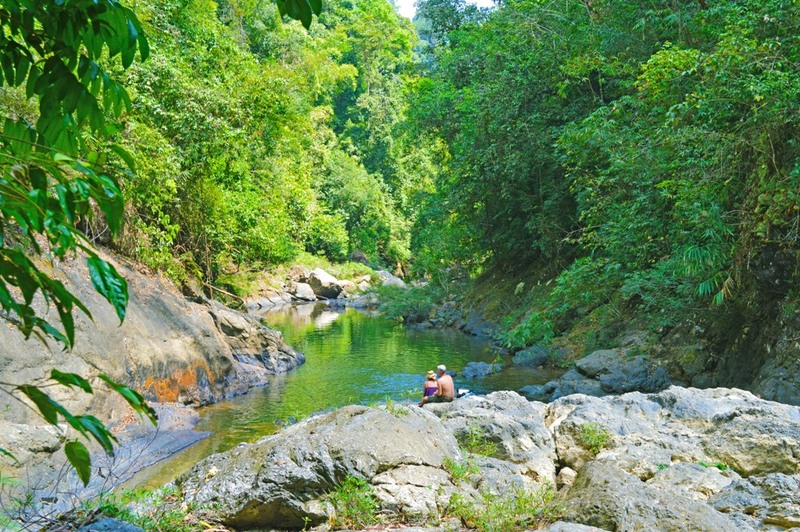 Travel price: € 2.095 per Person in a double room; (surcharge for single occupancy: plus € 249,00) including raw food breakfast in an ecologically driven bungalow resort, accommodation and transportation in Thailand as well as daily excursions with raw food board and national park entrance fee. 10% early bird discount if booked before 31 July 2014! More information on my website. 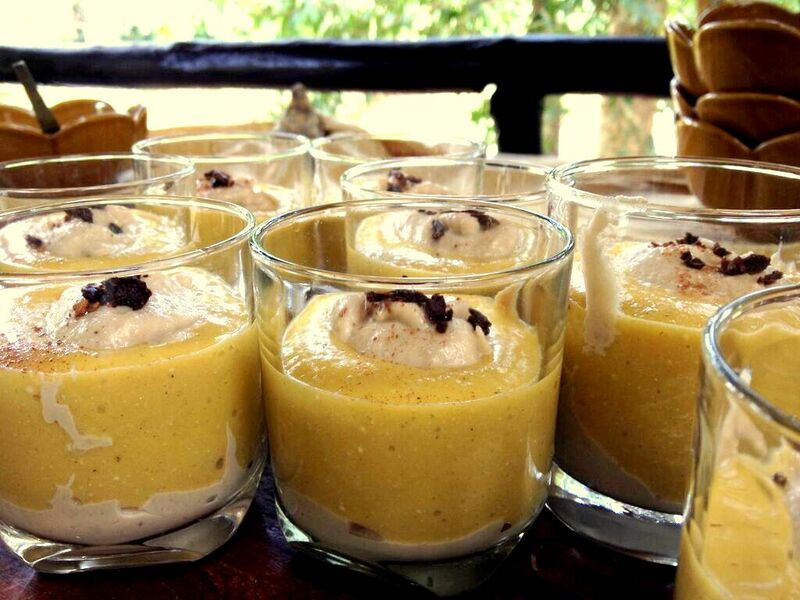 This entry was posted in Raw Food and tagged bharati, khao sok, rain forrest, raw food, raw food travel, thailand on May 13, 2014 by Bharati. Have you already got the travel bug? This year India will celebrate the Mother Divine Festival (Navaratri) from 25th September to 3rd October. You are welcome to celebrate this very special festival with me and some yogi friends in Tiruvannamalai at the holy mountain Arunachala. This entry was posted in Journey to India, Raw Food and tagged bharati, india, journeys, maha lakshmi, navaratri, raw food, shivaratri, thailand on March 10, 2014 by Bharati. The next deluxe raw food gourmet meetings will take place on Thursday, 28th November and Thursday 12th December again in Bad Dürrheim. This entry was posted in Raw Food and tagged bharati, detoxification, healthy, meetings, raw food, spiritbalance on November 22, 2013 by Bharati. Today we are talking about rawfood! Probably a few people may not be aware of how closely the subject of raw food is intertwined with spirituality. For me, however, diet connected with awareness plays an important role and for this reason I began to deal with the subject of nutrition already 17 years ago. 15 years ago I completely switched my diet to raw food. This entry was posted in Raw Food and tagged detoxification, gourmet meeting, healthier life, healthy, raw food seminar, recipe, smoothie, tasty on October 18, 2013 by Bharati. today it is all about the exciting topic „raw food“. In just a few days we will fly to Germany again. After the seminar with the topic “Astral travel” I will then finally give an exciting “Raw food” seminar again. This entry was posted in Raw Food and tagged astral journeys, chanting, detoxification, hanuman chalisa, healthy, meditation, navaratri, self healing, south india, spiritbalance on July 23, 2013 by melanie.